Gamil Abd El-Fattah Amin, male, microbiologist, graduated from microbiology department, Cairo University, Egypt in 1972. He worked for Cairo University as a demonstrator in 1974, lecturer assistant in 1978, lecturer in 1984, associate professor in 1984 and professor in 1995. In 1985, he joined biotechnology unit at Queensland University, Australia for three years and at Gainesville University, Florida in 1993 (6 months) as senior researcher. He worked as consultant in Begium company (Cairo branch) named “Seghers Better Technology for Water” over the period from 1994-198. From 1999 till 2005, he was a member of a national Egyptian committee for organic and environmental affairs at both ministry of agriculture and ministry of environment. He involved actively in the establishment of department of biotechnology, faculty of science, Taif University, KSA in 2005. Since 2008, he became the Head of the department. 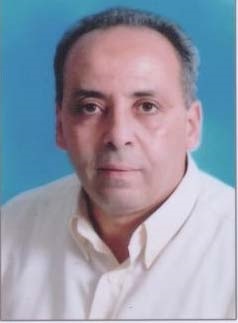 Now he has published more than 70 research articles and 4 text books in the field of microbial biotechnology and supervised 40 M Sc and Ph D Egyptian students who obtained their degree under his supervision.